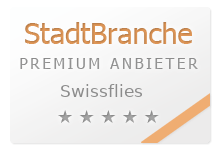 The big mayflies hatch in Switzerland from may to beginning of july. Best places to fish them are the big lakes (Lucerne, Lake Brienz, Lake Thun), where you can get the big lake trout. 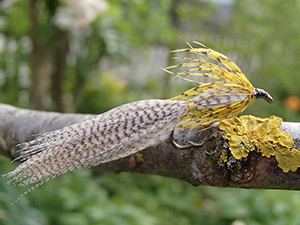 This yellow mayfly corresponds to the well known, very successful patterns of the last century. 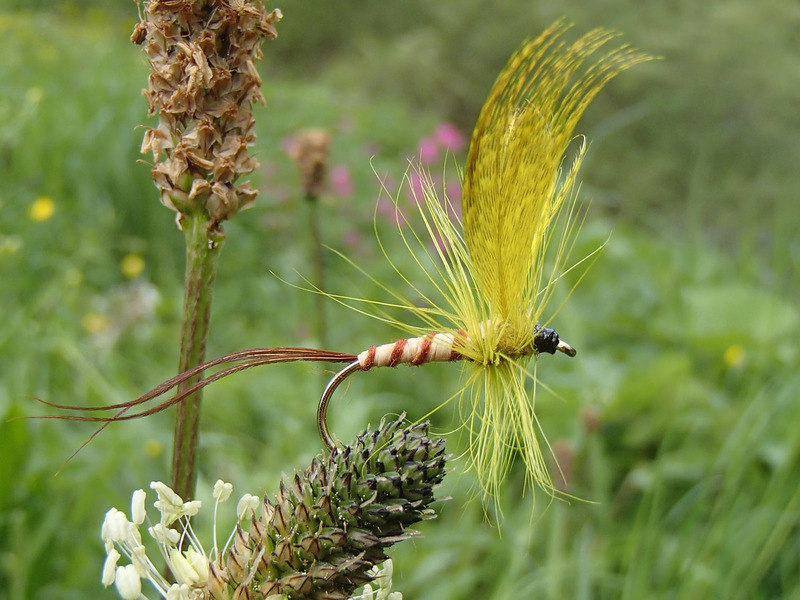 Body in the original beige rafia color (SwissR), ribbed brown, yellow hackles and wings. It attracts the big lake trout- and the strong hook holds them safely. The mayfly emerger is presented just under the surface (wet it first if necessary). Then you move the fly slowly, with interruptions...!